A Troll in a Box! 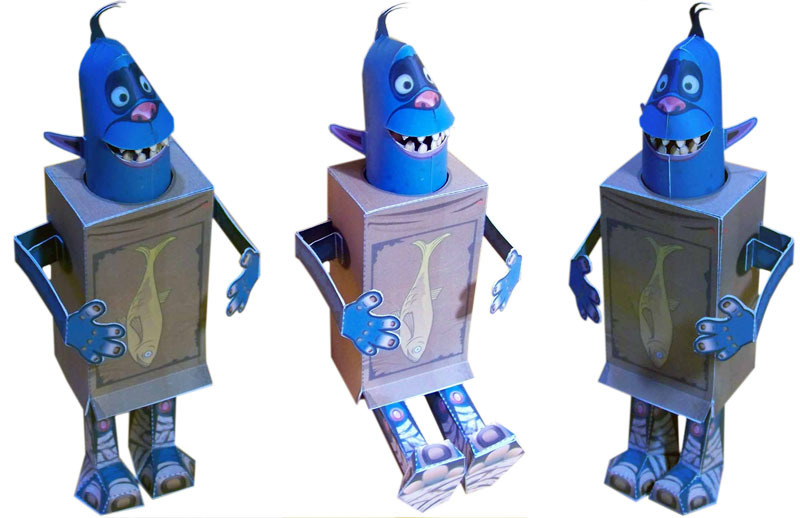 This model is inspired in one of the characters from the movie "The Boxtrolls" from laika studios, the same that made Coraline and Paranorman. They evolve each stop motion film whit magic and constantly research in sculpt, paint, armatures and movements, such developments are notable from one film to another. One of their traditions (unusual for a film company or at least no other I know) was to send a set of magical boxes with items from their actual film, a gift for the lucky guys that were chosen because of their contribution to the culture of stop motion films (select group of entertainment sites/bloggers/reviewers). And of course the marks "Laika" "Coraline", "Paranorman", "The Boxtrolls" are property of Laika and are mentioned just as a reference.